Spend an intimate week with Larry Keigwin, designing and implementing a community dance immersion. Only 15 spots available! A well-rounded professional dancer must be a striking performer AND a creative, flexible contributor. The hard truth is that a dance career is not spent fully on stage… or even in rehearsal. It’s balanced by teaching and integrating dance into the community. Training programs don’t often prepare dancers for community-based experiences, leaving new professionals to learn on the fly. At KEIGWIN + COMPANY we have a long history of compelling, joyous and poignant community engagement. We will share what we have learned and collaborate with you on designing and our newest project: Dance at the Gym. Get ahead of the curve, hone skills essential to a successful career, and experience how dance outreach is often one of the most rewarding components of an artist’s life. Do you love to dance? Do you feel energized when you’re in a creative space? Are you curious what dance creation is like behind-the-scenes? Come, dance with us, and see for yourself! 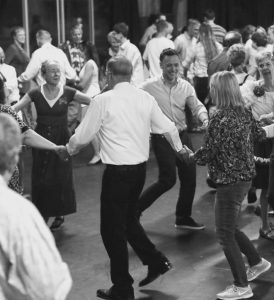 Spend a week of evenings with Keigwin + Company, a bright group with a long history of celebrating dance in the community. 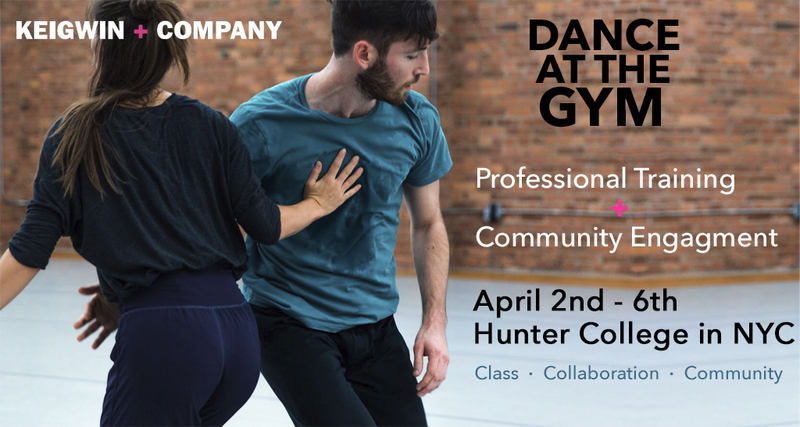 Collaborate with a small group of New York dancers, under the direction of Larry Keigwin, on a new dance creation and perform it in a friendly studio setting. Brighten your Spring with the joy of movement.